The Customer's attention is drawn to the Clauses hereof which exclude or limit the Company's liability and these which require the Customer to indemnify the Company in certain circumstances. “Company” is Direct Shipping Services L.L.C. 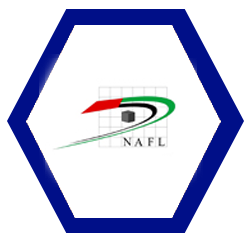 and an NAFL Member trading under these Conditions and this expression includes any parent subsidiary or affiliated company of the Company. a. Subject to Sub-Paragraph b. below, all and any activities of the Company in the course of business whether gratuitous or not are undertaken subject to these Conditions. b. If any legislation is compulsorily applicable to any business undertaken, these Conditions, shall as regards such business, be read as subject to such legislation and nothing in these Conditions shall be construed as a surrender by the Company of any of its rights or immunities or as an increase of any of its responsibilities or liabilities under such legislation to any extent such part shall as regards such business be overridden to that extent and no further. d. To do such acts as may in the opinion of the Company be reasonably necessary in the performance of its obligations in the interests of the Customer and the Owner. 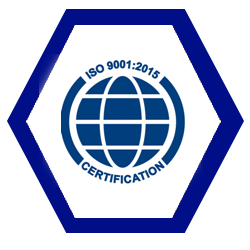 The Company is permitted to perform any of its obligations herein by itself or by a sub-contractor. 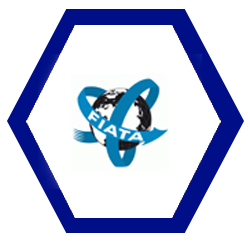 For the purpose of allowing any such subcontractor to take the benefit of these Conditions, the Company acts as agent and trustee for such sub-contractor in entering into a contract governed by these Conditions with the Customer and Owner. a. If delivery of the goods or any part thereof is not taken by the Customer or Owner, at the time and place when and where the Company is entitled to call upon such Person to take delivery thereof, the Company shall be entitled to store the goods or any part thereof at the sole risk of the Customer, whereupon the liability of the Company in respect of the goods or that part thereof stored as aforesaid shall wholly cease and the cost of such storage if paid for or payable by the Company or any agent or sub-contractor of the Company shall forthwith upon demand be paid by the Customer to the Company. b.The Company shall be entitled at the expense of the Customer to obtain an order by the competent UAE Court to dispose of perishable goods or non-delivered goods as defined by sub clause 12 a. herein as the Court thinks fit. a. No insurance will be effected except upon express instructions given in writing by the Customer and all insurances effected by the Company are subject to the usual exceptions and conditions of the policies of the insurance company or underwriters taking the risk. Unless otherwise agreed in writing the Company shall not be under any obligation to effect a separate insurance on each consignment but may declare it on any open or general policy held by the Company. b. Insofar as the Company agrees with the Customer to arrange insurance, the Company acts solely as agent for the Customer using its best endeavors to arrange such insurance and does so subject to the limits of liability contained in Clause 29 hereof. a. Except under special arrangements previously made in writing or under the form of a printed document signed by the Company, any instructions relating to the delivery or release of goods in specified circumstances only, such as (but without prejudice to the generality of this Clause) against payment or against surrender of a particular document, are accepted by the Company only as agents for the Customer where third parties are engaged to effect compliance with the instructions. b. The Company shall not be under any liability in respect of such arrangements as are referred to under Sub-Clause a. hereof save where such arrangements are made in writing. c. In any event, the Company's liability in respect of the performance or arranging the performance of such instructions shall not exceed that provided for in these Conditions in respect of loss of or damage to goods. a. Except under special arrangements previously made in writing the Company will not accept or deal with bullion, coin, precious stones, jewelry, valuables, antiques, pictures, human remains, livestock or plants. Should any Customer nevertheless deliver any such goods to the Company or cause the Company to handle or deal with any such goods otherwise than under special arrangements previously made in writing the Company shall be under no liability whatsoever for or in connection with such goods howsoever arising. b. The Company may at any time waive its rights and exemptions from liability under Sub-Clause a. above in respect of any one or more of the categories of goods mentioned herein or any part of any category. If such waiver is not in writing, the onus of proving such waiver shall be on the Customer. a. The Customer shall pay to the Company in cash or as otherwise agreed all sums immediately when due without reduction or deferment on account of any claim, counterclaim or set-off. b. In respect of all sums which are overdue the Customer shall be liable to pay to the Company interest calculated at 2% above the Base Rate for the time being of the UAE Central bank. Despite any acceptance by the Company of instructions to collect freight, duties, charges or other expenses from the Owner or any other Person the Customer shall remain responsible for such freight, duties, charges or expenses on receipt of evidence of proper demand and in the absence of evidence of payment (for whatever reason) by the Owner or such other Person when due. a. Subject to sub clause 2b. above and Sub-Clause d. below the Company’s liability howsoever arising and notwithstanding that the cause of loss or damage be unexplained shall not exceed. b. The value of the goods shall be their value when they were or should have been shipped. c. Subject to sub clause 2 b. above, and Sub-Clause d. below, the Company’s liability for loss or damage as a result of failure to deliver or arrange delivery of goods in a reasonable time or (where there is a special arrangement under Clause 28) to adhere to agreed departure or arrival dates shall not in any circumstances whatsoever exceed a sum equal to twice the amount of the Company’s charges in respect of the relevant transaction. e. By special arrangement agreed in writing, the Company may accept liability in excess of the limits set out in Sub-Clauses a. to c. above upon the Customer agreeing to pay the Company’s additional charges for accepting such increased liability. Details of the Company’s additional charges will be provided upon request. b. 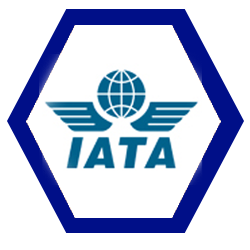 If the Company acts as a principal in making an agreement for the carriage of goods by air, the following notice is hereby given: - If the carriage involves an ultimate destination to or stop in a country other than the country of departure, the Warsaw Convention may be applicable and the Convention governs and in most cases limits the liability of carriers in respect of loss of or damage to cargo. Agreed stopping places are those places (other than the places of departure and destination) shown under requested routing and/or those places shown in the carriers’ timetables as scheduled stopping places for the route. The address of the first carrier is the airport of departure. against the Company arising from loss of or damage to the goods not visible at the time of receipt by the Customer or Owner must be made in accordance with the provisions of Art. 317 UAE Code of Commercial Practice, Federal Law No. 18 of 1993. These Conditions and any act or contract to which they apply shall be governed by U.A.E. law and any dispute arising out of any act or contract to which these Conditions apply shall be subject to the exclusive jurisdiction of the U.A.E. courts. 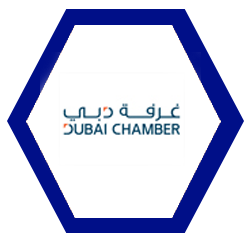 In the event of any such dispute, the parties may instead agree to apply to the Dubai Chamber of Commerce for the dispute to be referred to conciliation in accordance with the Rules of Commercial Conciliation and Arbitration of the Dubai Chamber of Commerce & Industry of 22nd February 1994 or any amendment or revision thereof for the time being in force.